Warrant Officer Gary Wight was born in Liverpool, NSW on 21 September 1968. He joined the Royal Australian Navy in January 1987, as a Radio Operator from Sydney, Australia. After completing category and Submarine Training, he served as a Junior Sailor in HMAS Platypus and HMA Submarines Otway, Orion and Onslow. In 1995, on promotion to Petty Officer, he returned to HMAS Onslow as the Radio Supervisor before posting in 1996 to the Communications and Information Systems School in HMAS Cerberus where he served as a communications instructor. Wight was promoted to Chief Petty Officer in 1999 and undertook Collins Class transition training before joining HMA Submarine Sheean as the Chief Communications Manager. On completion of his posting in Sheean, Chief Petty Officer Wight served in the Submarine Operations Communications Centre, Maritime Headquarters, before serving again in Sheean as the Chief of the Boat, first as an operational relief in 2003, and then again substantively in 2005. He was awarded an Australian Day medallion in 2006 for his service during his time as Chief of the Boat. In October 2005 CPO Wight assumed the duty of Submarine Career Manager at the Department of Sailor’s Career Management. 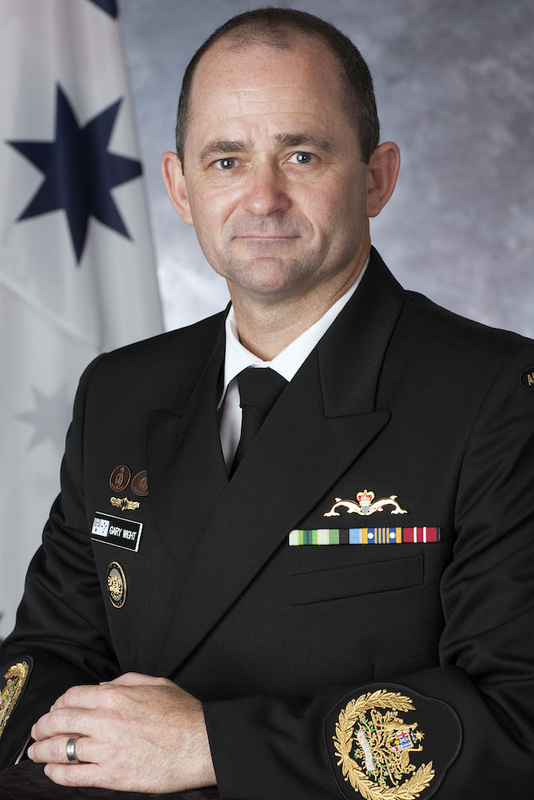 In 2006 Wight was promoted to Warrant Officer and served for three years as the Communications Capability Staff Officer, Submarine Force HMAS Stirling. For his exemplary service in this position he was awarded a Fleet Commander’s Commendation. WO Wight was selected as a Tier Bravo Warrant Officer in 2010 and subsequently appointed as the Ship’s Warrant Officer (SWO) HMAS Darwin in January 2011. For his outstanding professionalism and devotion to service as the SWO Darwin WO Wight was awarded his second Fleet Commander’s Commendation. WO Wight was appointed as a Tier Charlie Warrant Officer in September 2012 and served as the Command Warrant Officer Career Management until he operationally deployed in June 2015 to the Middle East region as the Command Warrant Officer Joint Task Force 633. WO Wight has completed the United States Defence Force’s Senior Enlisted Leaders (Keystone) course in Virginia, USA and holds a Masters Degree in Business Management from the University of New South Wales.